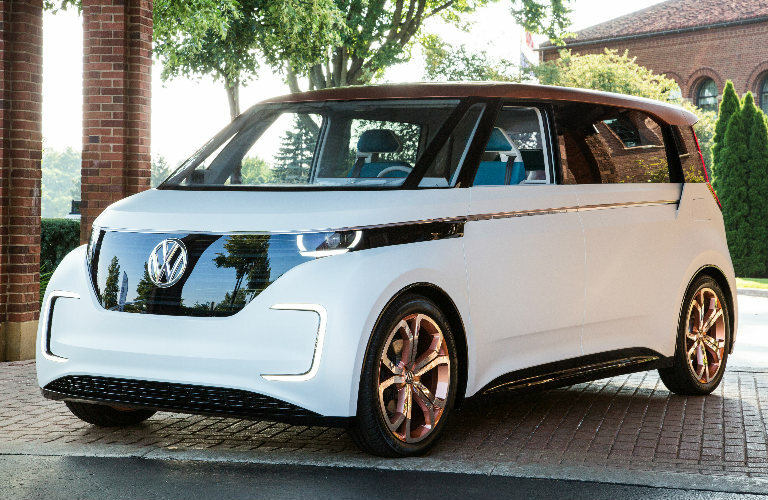 Earlier this year Volkswagen introduced the BUDD-e concept at the Consumer Electronics Show, wowing the audience with its unique design and futuristic capabilities. The automaker pulled from its history, particularly the classic Microbus, and built on that foundation to give us all a vision of what the future of the automotive world can look like. Now, this concept has earned some high praise. Keep reading for more information about the VW BUDD-e 2016 Concept Truck of the Year Award. The Volkswagen BUDD-e has been named 2016 Concept Truck of the Year at the 15th Annual North American Concept Vehicle of the Year Awards. A panel of over two dozen judges praised the vehicle for raising the bar in the automotive design world, and for taking technology to a whole new level. 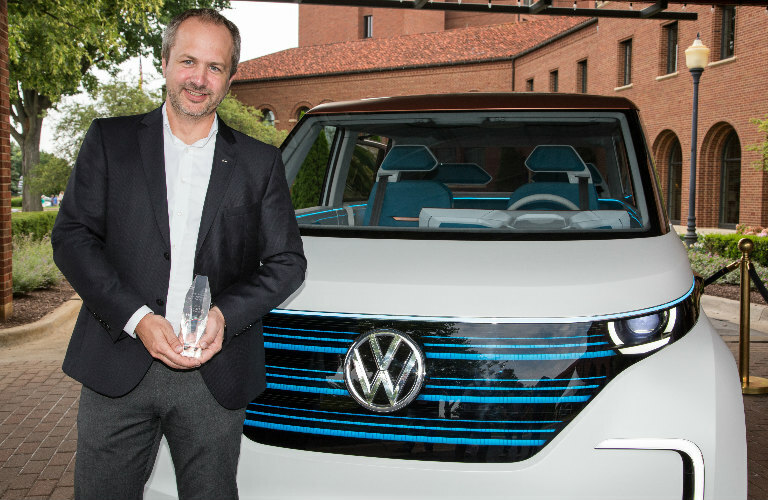 “We are thrilled that the BUDD-e has been honored as 2016 Concept Truck of the Year and would like to thank the panel of judges for recognizing Volkswagen’s innovation. We are determined to lead the future of automotive design, and BUDD-e shows the capabilities of our all-new electric vehicle architecture and further advances connectivity and infotainment.” – Dr. Hendrick Muth, Director of Product Marketing, Volkswagen of America, Inc. The BUDD-e is completely electric, powered by a 101 kWh battery that allows it to drive for an estimated 233 miles. One of the coolest aspects of this vehicle is its unique gesture control, which offers streamlined and intuitive operation of both interior and exterior features. Twenty vehicles were judged in the competition, which included categories such as Production Preview Vehicle, Concept Car, Concept Truck, and Most Significant Concept Vehicle. What’s so special about the VW BUDD-e concept? What makes the BUDD-e such a shining example in the concept world is how it configures the relationship between human and machine. The gesture control allows for more command of a vehicle than ever before, and it also provides a way to keep drivers even more connected to their world. Everything becomes more convenient and easier to use with the BUDD-e. While a production model may be a ways off, don’t be surprised to see some of its attributes being used in new Volkswagen models over the next few years! 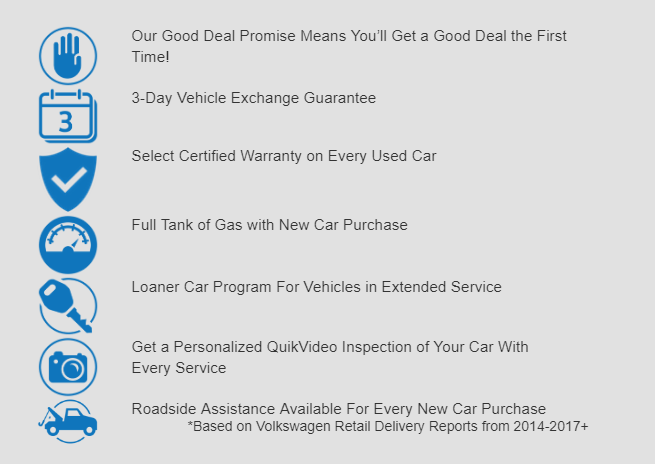 0 comment(s) so far on The Volkswagen BUDD-e Has Earned Major Recognition!